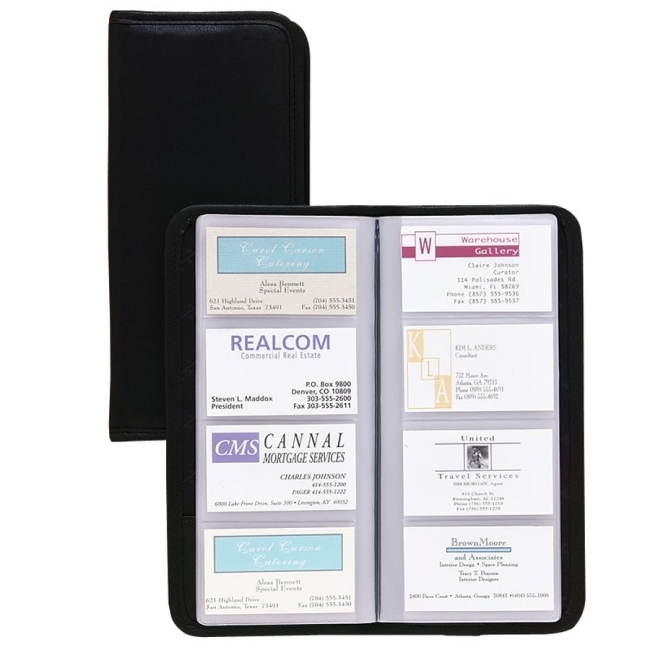 Business card file features softly padded covers with the look and feel of napa leather. Sleek radius corners with hand-stitched binding edge and designer lining. Business card file includes personal business card pocket on inside front cover. Frosted vinyl pages store 160 cards.